The City of Eindhoven has the unique situation that it equiped with high tech monitoring equipment that measures in real time the exposure of city residents and visitors to air pollution. The objective of the city and AiREAS is to co-create health and a healthy environment. This is not easy because, despite the positive intentions, the pervers situation is still that the largest public investments go to polluting roadworks and traffic optimization. It shows that the biggest innovation in the city is its governance. Instead of just resonating to city development from a political and economical point of view there is a strong tendency to transform the city’s cement, glass and tarmac into a healthy and co-creative eco-system that leads to health and self sustaining productivity and public involvement. 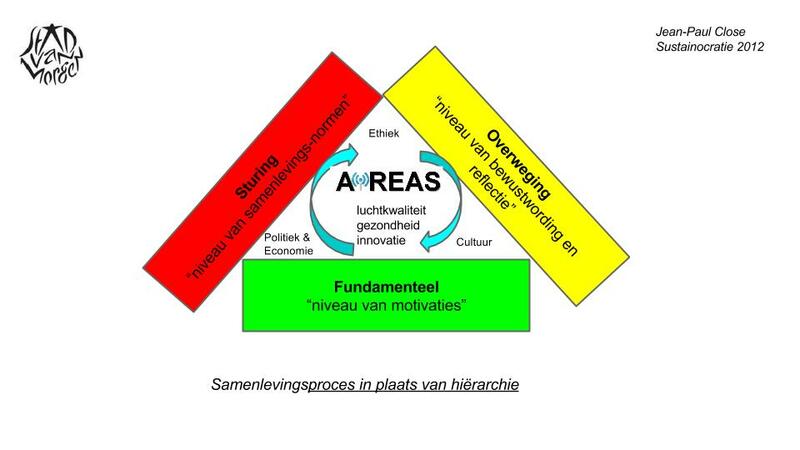 The latter is a trend in which the high tech city of integral innovation, Eindhoven, takes the “sustainocratic” lead. Key is the co-creative positioning of AiREAS in the space provided by governance that sees itself in the healthy city development not as a controlling bureaucracy but as a partner in a multidisciplinary context. During nearly 2 years of air quality measuring experiences AiREAS has gained a huge amount of insight in pollution mechanisms in the city. Events that draw huge crowds and often many vehicles tend to be part of such polluting peaks. Cases have been documented and are subject to multidisciplinary discussions on health driven applied innovation. The marathon is not necessary related in our mind to producing pollution. On the other hand it is a specular event that has many thousands of local participants training every day in a variety of local air quality circumstances, to eventually peak their performance on this second Sunday of October. They are there exposed to all kinds of air pollution. 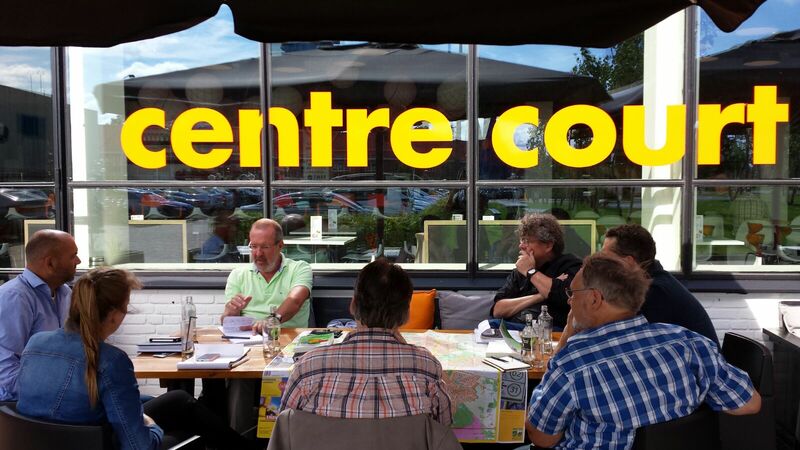 Today a multidisciplinary AiREAS team gathered, together with organizing company Golazo Sports SX, to see how we can embed this particular event within the overall “healthy city” development that we stand for as a group, including the local governance as partner? When addressing the issue from a “healthy city, healthy environment” perspective one can fly in from all kinds of angles. The event can be seen as a stand alone event with a tremendous public exposure but also some city irritation because of blocked roads, limited public transport facilities and huge crowds along roads for something that captures the interest of a limited few. It can also be addressed as something people live towards with different motivations, some as participant others as innovators or hospitality business owners. Yet another view is to see the event as a potential health trigger full of instruments to use within the context civilian participation and platform to invent or test innovations. The team addresses every angle as long as it contributes to measurable health and environmental improvement, not just during the event but also using the event in the overall city context. The multidisciplinary team consist of scientists, civilians, governance and business innovators. The discussion rapidly evolved around the overall issue of physical exercise as a key to overall health. The human body is not made to sit all day inside a building. The negative effects of lack of exercise and excessive indoor activity is visible in all aspects of our population and health problems. It is not just air pollution, which may be something that is enhanced due to reduced defense system, but the overall societal system and lifestyle. Our city’s are not designed for health nor is our money driven culture. The marathon hence is exactly the opposite. It represents huge physical exercise, determination to complete 42+ km and more hours in the open air than most people enjoy during their normal life’s rhythms. What can we do then to enhance this in such a short term as presented today. October 11th is just 6 weeks away and as from next week the operational organization will be working around the clock to get things organized. What can we contribute that makes a difference already at this stage and without any budget (yet)? 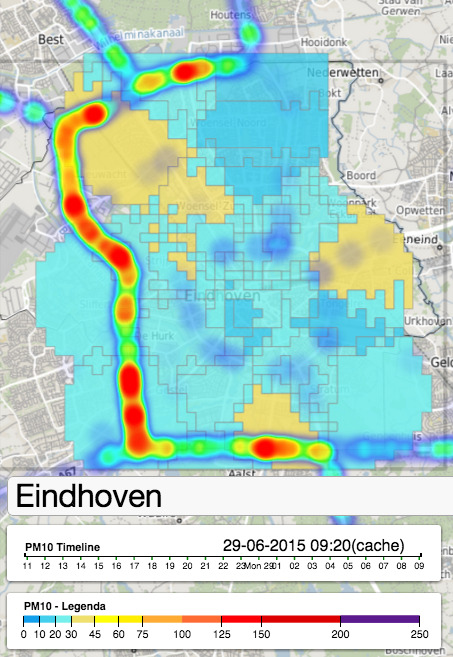 We know the air quality before, during and after the event itself in real time thanks to our ILM system. This we can use. We can also compare this with the data stored about the situation during last year’s marathon. Then we have a case with which we can work for forthcoming events, including new marathons. We can determine hotspots of pollution along the route and see if we can introduce innovations or remedies that can solve the issues temporarily. They benefit from the exposure. We can position the Eindhoven marathon in context with others such as Beijing (China). Along the route we can enhance the health feeling by also introducing healthy food and connecting local productivity. Parallel events can be organized along the route, such as heart rate variability or blood pressure measurements with a select group of participants (runners and public) using our POP medical team. GPS trackers can follow some runners to create a health story. We can interview people and follow them with a camera crew. This is more or less how far we got. Time and resources are limited but the will power is there to make and initial statement. After this particular marathon we can use our experiences to see if we can built everything further. Ideas already where suggested, such as the integration of awareness building exercises with school pupils, addressing enterprises that have unhealthy industries (s.a. welding companies in the region), developing recreation in the region creating events on water, or between the cities. The sky is the limit as long as it measurably contributes to health and air quality improvement.The innovations we develop represent a new economic wave that helps solve the climate issues and perverse investment attitude in current cities by showing how politics and economics can be harmonically related to health, and not the other way around when lack of health is ironically seen as a cost that is exposed to the public through insurance and taxes. Many years I visited London, passing through on my way to York University in the north of England in the 70’s, or as business destination in the long executive period of my life until about 2005. Today is different. Never before I looked at the city through the sustainocratic “City of Tomorrow” eyes of human and ecological values (health, safety, self-sufficiency, self-awareness and food/water supplies). This time I arrived at London through the harbour of Harwich after the ferry crossing from Hoek van Holland. 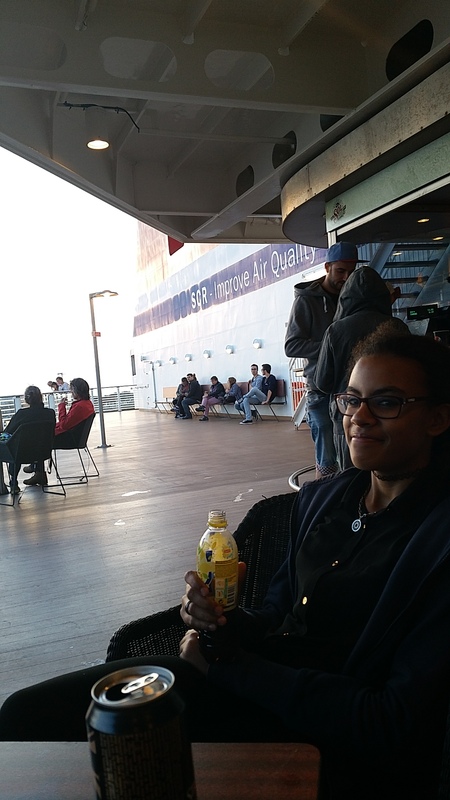 When boarding the boot, together with my teenage daughter who I try to make sensitive to different worldviews by visiting cultures, the huge SCR sign on the side of the ship surprised me positively. When we arrived at the Harwich port on Sunday morning the usual train connection to London was substituted by a bus service for maintenance reasons. The bus took us through the eastern countryside around Colchester which was primarily dedicated to massive wheat production. The yellow fields on the hill slopes offer a beautiful sight, some already harvested others waiting their turn. We now know that such single crop, horizontal mass production is devastating for the soil while producing periods of extreme air pollution. In March 2015 central Europe was surprised by a peak of air pollution that could eventually be related to massive ploughing and fertilizing processes. It even caused Paris to close off for certain traffic. Now in August the harvesting is producing dust, leaving behind desert like fields ready for a second cycle of massively wrong productivity. British documentary maker Rebecca Hosking made a great report of the vulnerability of the UK and the rest of the world. When the bus entered London we were immediately blocked by road works, closed infrastructures and extensive traffic jams. Our destination was Liverpool train station in the city center but to get there the bus needed to go through all kinds of detours. Weekends are being used for works on infrastructures, maintenance and special events. This weekend London was emerged in a cycling event that caused the stress of many weekend commuters that found their usual routes blocked for this unique happening. The first impression of my 14 year daughter of London was a huge and ugly and chaotic construction site. Signs up on the buildings that say “no ball games allowed” give a highly child unfriendly feeling. 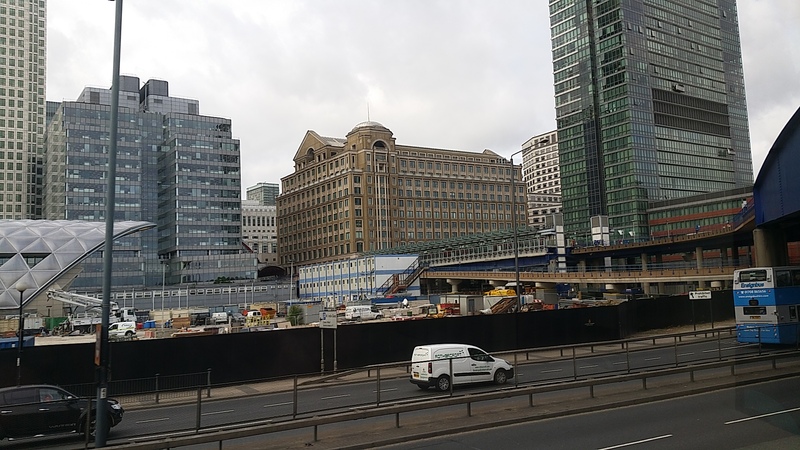 In this area of London, surrounding the City Airport, the extensive building activities provided a sense of unfriendly, unattractive and messy London in which old, obsolete, dirty structures mix with ultra modern cement and glass. In between we observe an impressive spaghetti of train and car infrastructures. I hadn’t been to London for over 10 years and was impressed by the enormous development of the city. Simple observation made me feel totally demoralized with the air quality challenge that all cities face and I represent through AiREAS. In London the economic development prevailed all common sense to harmonize with nature. Living green was eliminated from the new city development all together. Every square inch was dedicated to multilevels of cement experience, consumption and mobility. Since the promising SCR sign on the ship we had not seen one single positive intention to combat climate change or pollution. Finally we arrived at the Liverpool train station where we could benefit from the left luggage and start our visit to central London. The Oyster card for the underground was easily purchased even though it took a serious instant bite out of our budget already. London was going to prove to be with difference the most expensive city we had visited, in every sense. My daughter had her own bucket list which we started to work through. For some reason she wanted to see a red phone booth. I had tried to talk her out of this because phone booths were outdated since the introduction of mobile phones. 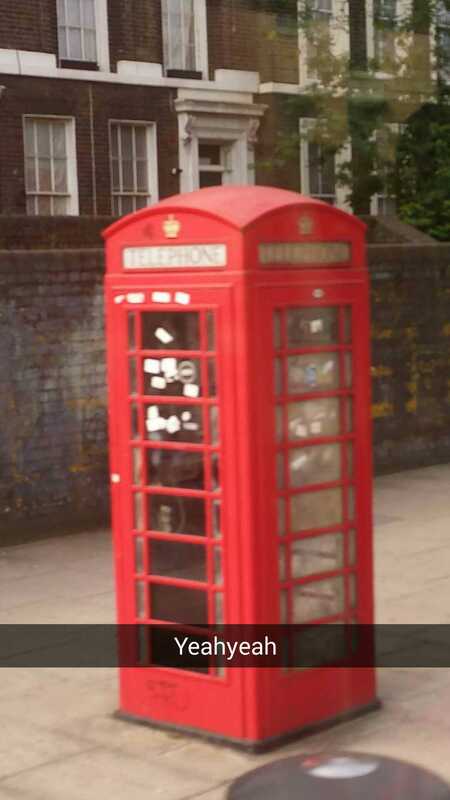 Just look at our own home country where a phonebooth cannot be found anywhere. To my surprise (not my daughter) these old red landmarks were all over the place and serious tourist attraction. When we arrived at Westminster tourism had visibly taken over the roads through massive pedestrian activity mingling with the limited traffic due to the cycling event. The abundance of selfie sticks, cameras and all cultures of the world, that try to dodge each other as everyone tried to make the picture of a lifetime of the Big Ben, House of Parliament, the London Eye and the Thames, was our first impression of modern downtown London. After the selfie with the red telephone booth we headed towards the London Eye. On the one hand I was positively surprised with the magnificent pedestrian infrastructure that London had created along the Thames and elsewhere in town. Why use cars, cabs or other vehicles when everything can be reached on foot or using the Tube? On the other hand London had converted into an expensive fun fair with all kinds of attractions that lure tourism. The London Eye is apparently run by Coca Cola while surrounded by the Shrek, an Aquarium experience and the Dungeon. Individually each attraction can be accessed against prices that dwarf Disney World, Movie Park or the Efteling. Central London remains a magnificent combination of historical and monumental city development around the importance of the river Thames. It is impressive how London has created and maintained infrastructures in a huge complexity. View here the development of London over the last 200 years. At the same time it is clear that major cities like London are transforming from old industrial, political and administrative centres or trade mindsets to tremendous centers of mass consumption in the shape of “Panum et Circenses”, referring to the old roman principle of providing superficial needs (bread and entertainment) to gain favours of the masses. In basic sustainocratic terms this is (just like the history of the Roman Empire) the beginning of the end of an era when consumption overruns the individual contribution to productivity, producing a parasite like unbalance that always leads to collapse. Nevertheless, realistically, when observing the visual about the growth of London over the years, who in his or her right mind of policy making can find time to moralize when confronted with such patterns? Keeping the cancer-like infection growing is as legitimate in economic circles as questioning or curing it in circles of global ethics and sustainable progress like sustainocracy. It was good to see how London had integrated cycling into the infrastructure and I rapidly learned that over 500.000 bicycle movements are registered every day in town. Observing the cyclists risk their lives in the dense traffic of London made me wonder how safety was dealt with? It wasn’t. Some simple google research shows how cyclists are victim of motorists while hardly protected by the authorities. Only when fatalities are registered some police investigation is initiated but otherwise the hit and run practice of hurrying vans seems to be everyday practice. Over 1000 injured and 3 dead on average every day makes London very bicycle unfriendly. Tourists are invited to use the “Santander” bikes that are for rent everywhere with free of charge usage during the first 30 minutes (like in other European cities). But the different traffic rules in the UK combined with the lack of protection makes it an adrenaline fight to give the bike a try. I decided not to and take the Tube instead. Positive was to note the efforts to keep the Thames clean with the registered effects of the return of life in the river. Salmon has been spotted again in the river as well as other wildlife. The river has proven to be a huge health hazard in the past when it was still used as sewage system carrying around all kinds of diseases. Since the 70’s the city council has made a serious attempt to keep the river clean even though it still collects an impressive amount of plastic waste every day from the over-consumption and lack of responsibility of people. This daily pollution could also be seen in the city’s waste management that clearly ran overworked as plastic bags piled up waiting for garbage collection trucks to pass by. In the “bread and play” culture food is key and everywhere one can find food in London, from fast food franchises to pub food and restaurants. Everything is equally expensive. My memories took me to a pint of hand pulled real ale and inexpensive homemade pub grub but all this had changed. A pub meal would run as expensive as in a restaurant while fast food would also go against wild prices depending where one was in the city. It is not at all a surprise that overweight is a serious issue in the city center. Healthy food is offered in all kinds of outlets but who can afford this in the rush of daily city life? Just like everyone else in cities around the world the population depends on processed food that has hardly the nutritious values that one needs. People tend to overfeed due to the lack of both awareness and participation in the food productivity chain. The easy access enhances blind consumption. London has no visible initiatives in city agriculture, green roofs or integration of living green in its facilities.The large parks in the old town center (Hyde park, Green park, Greenwich park, etc) are very decorative and relaxing but do not provide any value to the food system. Their design seems highly functional from a maintenance point of view and not at all as a productive element in the city other than recreational. London is totally dependent on supplies from outside the city, for all its primary needs. This makes the city very vulnerable within the speculative nature of economics. London is seen as an influential city but when we look at the “other reality” London, its 10 million human residents and equal number of visitors are at the top list of risk areas. Being on the island, connected only through the channel tunnel with the mainland, Great Britain relies primarily on itself if a major crisis hits. And such crisis will hit. Now the attention goes still towards those 1000s of refugees that try to access the “promised land” through the tunnel but one day the situation may well turn around.It is just a question of time. 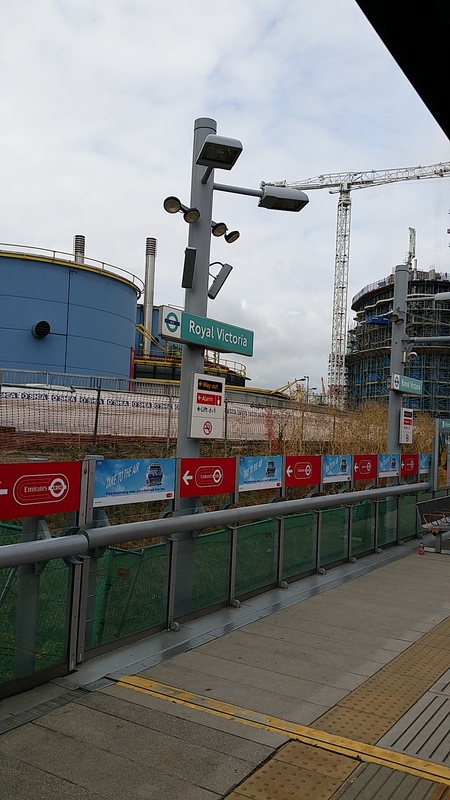 Meanwhile I was impressed by the “second city center” located near Greenwich and referred to as Canary Wharf at Tower Hamlets, a huge new financial district with nothing but glass and cement. If this is the future that London builds on than the concept of sustainocracy will remain unseen until the city’s current securities and focus collapses. Despite the efforts of various London twitter groups and NGOs the “healthy city” of London is still a long way away. Every sign shows the focus on economic growth and speculation without morality or ethics around sustainable progress. There seems no real tension other than the river issue that seems to be solved and attended. The rest of the city’s development is based on high level, semi-automated under and overground infrastructures that provide the backbone for new financial clusters. A healthy attitude of bike commuters is penalized with lack of safety. On the way back to Holland we left behind a city on verge of yet another paralyzing strike of underground personnel. Despite the beauty of the original city of London between the House of Parliament and the Tower Bridge the underlying current in modern times is of generalized big city risks covered up by unsustainable dependence on speculative import of basic needs and total lack of awareness or responsibility to do something about it. It is clear to me that the world’s future is not to be found in the large cities, on the contrary.